Four important "lessons learned" will help future responders and researchers. TAMPA – On April 20, 2010, millions of gallons of crude oil began gushing into the Gulf of Mexico following an explosion on the Deepwater Horizon oil rig. The explosion killed 11 workers and oil spewed from the damaged, one mile deep well head for 87 days. Response efforts added almost two million gallons of dispersants to the Gulf. Through ongoing studies, scientific researchers from the University of South Florida continue to learn more about how both oil and dispersants have impacted marine life. Six years later, many lessons have been learned about response and recovery, especially about the impacts on marine life. However, scientists continue to seek more answers. Researchers from USF’s College of Marine Science, the lead institution for the Center for Integrated Modeling and Analysis (C-IMAGE), an international research consortium created to study the effects of the 2010 Deepwater Horizon oil spill, have outlined their research and provided four important lessons learned since 2010. Under the Oil Pollution Act of 1990 (OPA), established after the 1989 Alaska Exxon Valdez spill, the responsible party is required to pay for damage. OPA90’s Natural Resource Damage Assessment regulation requires quantifying damage and ecosystem restoration to pre-spill or “baseline” condition. With the Gulf vastly understudied before 2010, having a complete picture of the Gulf’s “before” condition was impossible. Strong baseline could have provided an invaluable assessment and also could have even influenced how responders did risk assessments. Marine “snow” is a term used to describe the particulate matter (dead and dying plankton) falling to the seafloor and is a pathway through which oil can be deposited on the seafloor. Crude oil is made of thousands of different arrangements of carbon that become more toxic after burning. These toxic compounds can be trapped in marine snow and cover the seabed, harming marine life. Over two million gallons of dispersants were released during relief efforts at the surface and at the well-head. Dispersants break larger droplets into smaller ones for increased bacterial degradation. Studies have shown that dispersants did not stimulate bacterial growth and may have inhibited bacterial growth (full study here). Fish communities exposed to high levels of polycyclic aromatic hydrocarbons (PAHs) can severely impact fish health, behavior, and reproduction. Since 2010, USF researchers have studied the extent of exposure over time and evaluated fish muscle and liver tissue for PAH. Tissue samples from both shallow and deep water fish communities show that PAH concentrations in deep water fish increased 10-fold from 2010 to 2011, while the increase in PAH content in shallow water fish increased 20-fold. Since 2011, the Gulf of Mexico Research Initiative (GoMRI) has provided $353 million in research dollars funding consortia – like C-IMAGE – and grants to study spill impacts on coastal, surface, and deep-sea environments, impacts on human health, and properties of oil droplets and dispersants in the ocean. In 2015, USF was awarded $20.2 million to continue C-IMAGE research. The film will also be aired on local television station WEDU+ in the Tampa Bay area, at 8 p.m. on April 20. 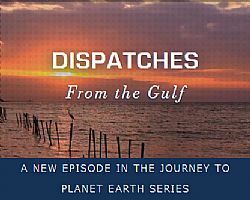 The documentary highlights research in the Gulf following the oil spill, in particular, researchers from the C-IMAGE consortium, and is narrated by Matt Damon.